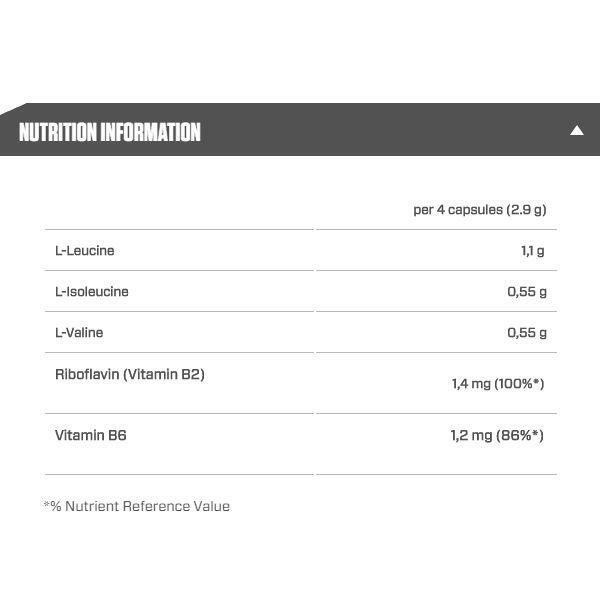 The BCAAs L-Leucine, L-Isoleucine and L-Valine make up approximately 20-35% of human muscle protein. 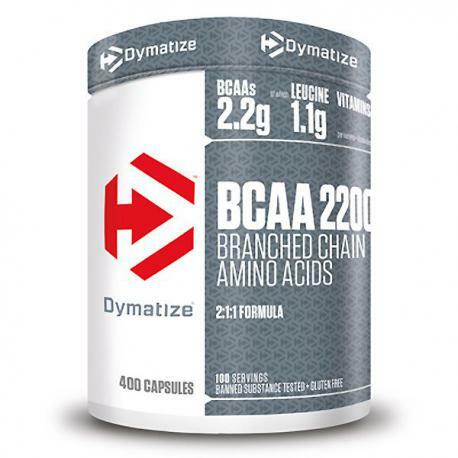 Conveniently sized and easy to swallow Dymatize BCAA 2200 capsules are perfectly suited for on- the-go in the morning, before or after training – delivering the three essential branched chain amino acids in a 2:1:1 ratio as well as vitamin B2 (riboflavin) and vitamin B6. Vitamin B2 and vitamin B6 contribute to the reduction of tiredness and fatigue. Take 4 capsules daily with sufficient liquid – e.g. in the morning, before or after training.